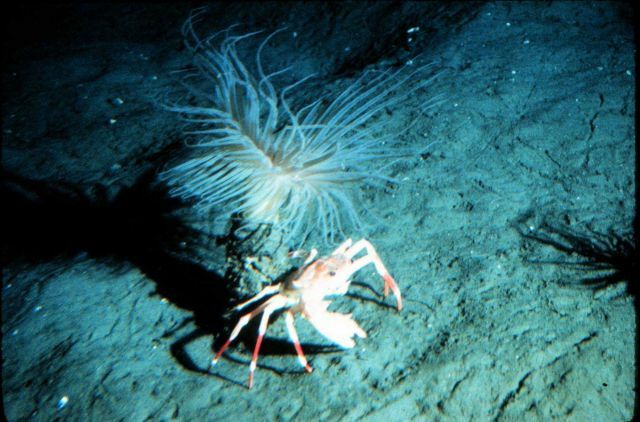 Portunid crab cowering at the base of a cerianthid anemone. Cerianthus borealis (anemone). Photo Location: Atlantic Ocean, Veatch Canyon.